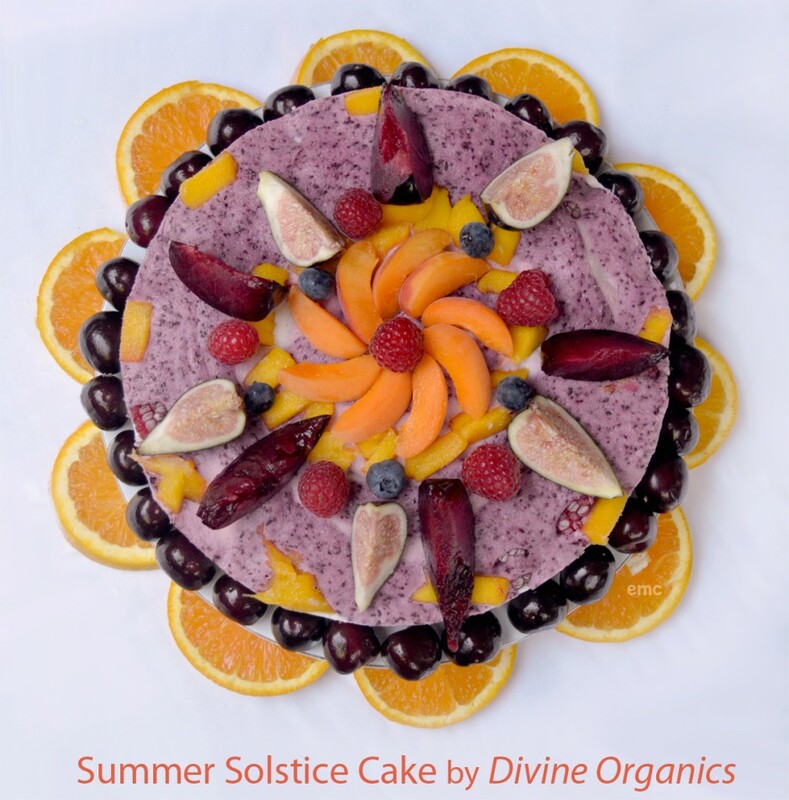 For the summer, Divine Organics is offering the summer special…. and we could not resist and take the hint literally. Ripe strawberries can be found now on farmers markets, stores and gardens -they pair deliciously with our creamy artisan stone-ground PILI NUT BUTTER — just dip in the fruits and enjoy the decadent healthy treat. 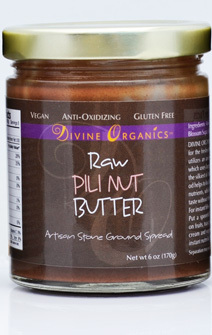 Pili Nut Butter tastes like chocolate, just without the buzz of caffeine. and FREE shipping within domestic USA, Alaska and Hawaii (valid till June 30). 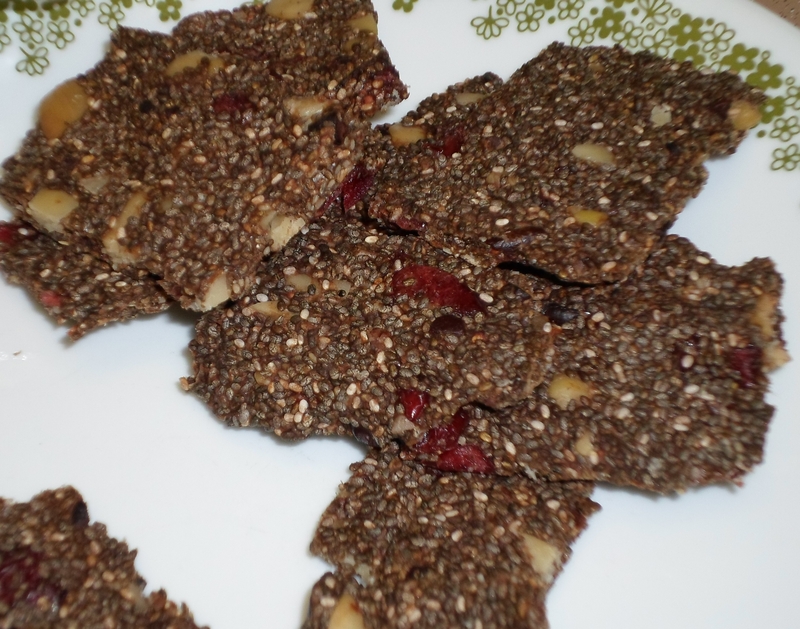 gluten free, chocolate free/caffeine free, non-GMO, kosher. Ingredients: Raw wild crafted Pili Nuts. 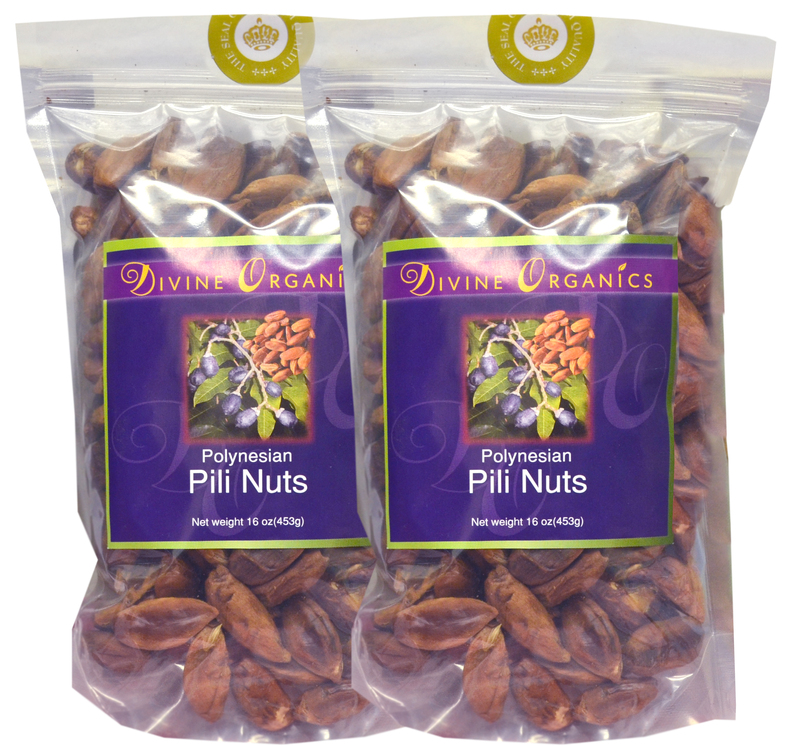 Learn more about Pili Nuts HERE. Bruno Tonioli, from Dancing with the Stars, grabs a bag of Pili Nuts during an event in Los Angeles. 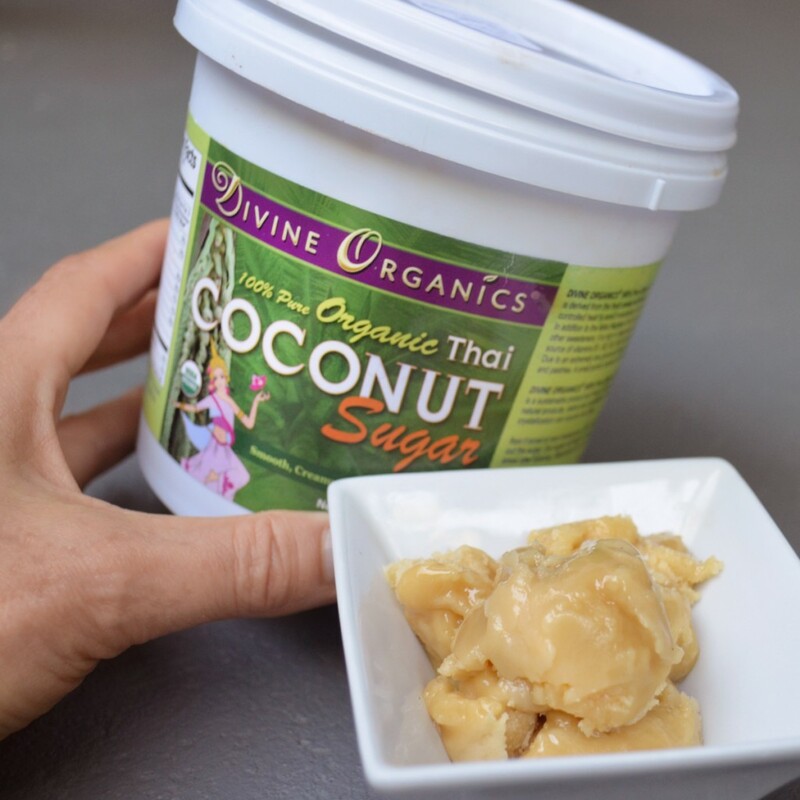 For the Holidays we are sharing with you one of our favorite mixes here at Divine Organics. 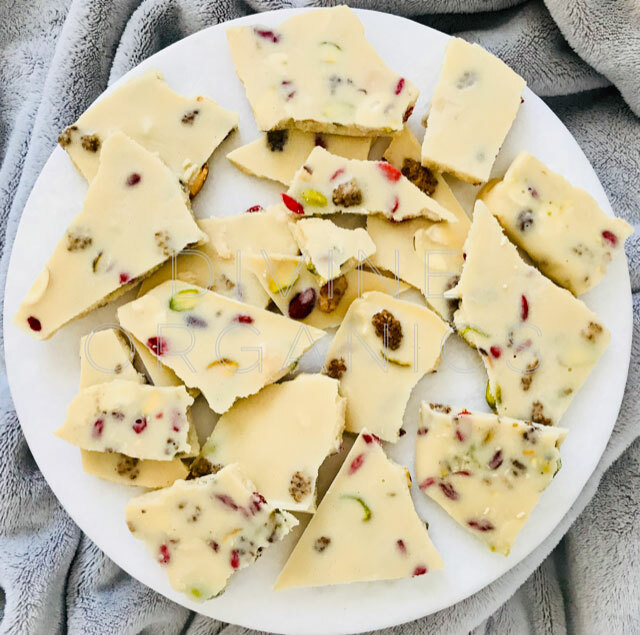 All Organic and Raw, this delicious mix is packed full of White Mullberries, Goji Berries, Whole Creamy Cashews, California Pistachios and Almonds, Incan Berries and Pumpkin seeds. A perfect gift idea, stocking stuffer or treat to bring to your parties and dinners! 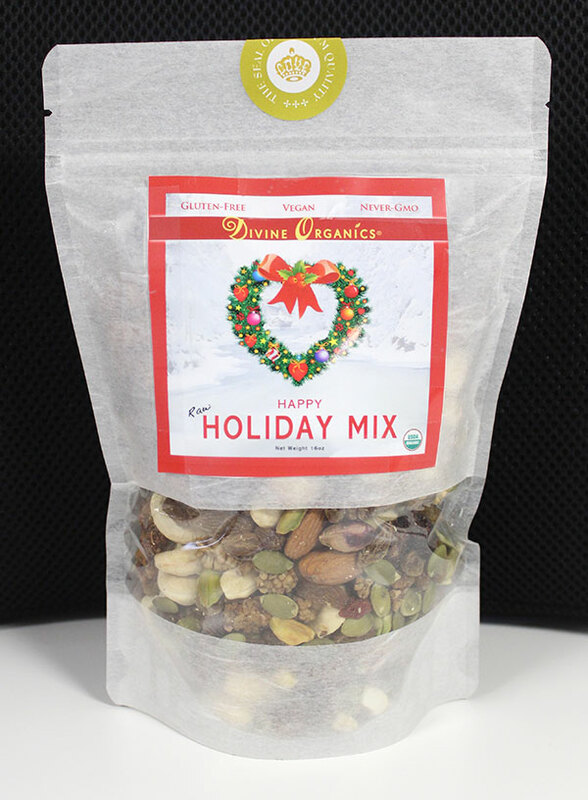 With an almost 50% savings, we are sharing the Happy Holiday Mix for $10.99 a pound. 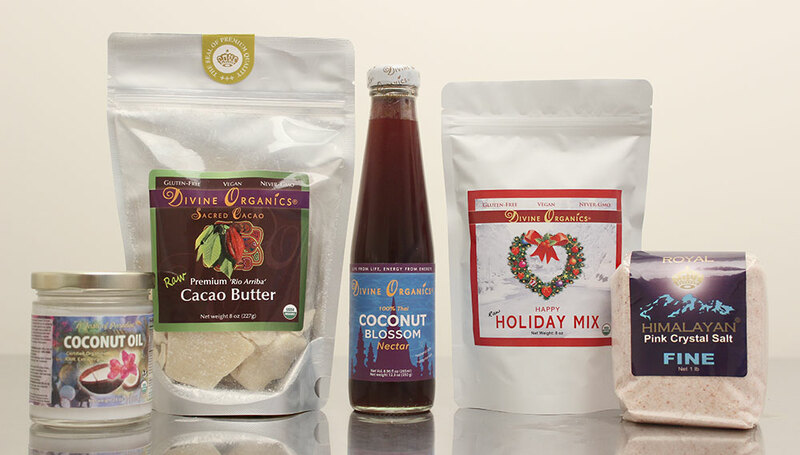 Enjoy and Happy Holidays from us at Divine Organics Gourmet Superfoods. Two or more pounds: $9.99 a pound. 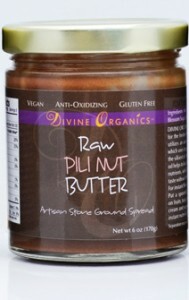 Pili nut butter is very satisfying, silky smooth at room temperature, just dip in the berries! 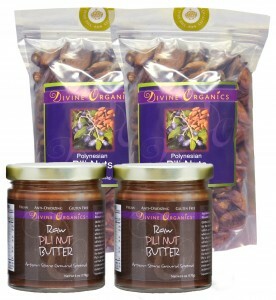 In a bowl mix the Pili Nut Butter with the Pili Nuts. Spoon small heaps on a baking tray and chill. Everyone wants to save the Rainforest, but most people don’t know how or think their individual actions will not make a difference. NOT TRUE! 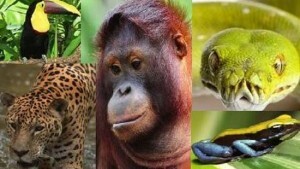 You can make small and simple green choices everyday that will help plants, animals and people in far away rainforests. One and a half acres of land are lost every second every day – and no stop in sight. 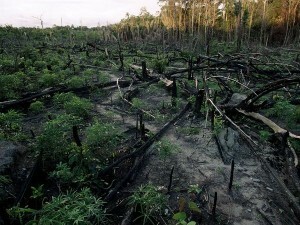 Rainforests are logged worldwide for their valuable timber. Logging is driven by complex factors. Two examples are subsidies by governments in tropical countries for slum dwellers and farmers to clear and settle forest land, and consumer demand in industrialized countries for tropical products like hardwoods, railroad ties, beef and palm oil. 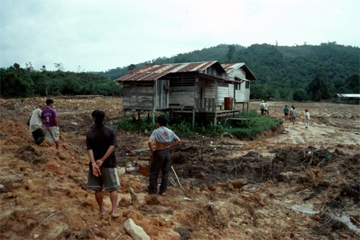 Thin tropical topsoils exposed to heavy rains erode rapidlly, carrying away what nutrients they contained and exposing even more infertile sub-soils. Expensive fertilizer application is required increasingly over time but much is lost to the same heavy rains that take away topsoil. Even later abandoned, these lands have been so degraded that forest cannot recover by the natural processes of regeneration. More than half of Earth’s rain forests have already been lost forever to the insatiable human demand for wood and arable land. Rain forests that once grew over 14 percent of the land on Earth now cover only about 6 percent. 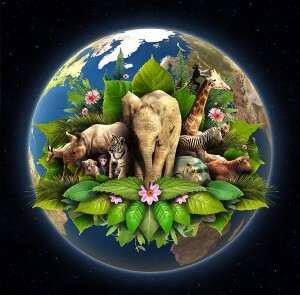 Many animals are deprived of their homes, they are starved to death, killed or getting extinct. The numbers are dire: 150-200 species become extinct every 24 hours, and approximately 15 percent of mammal species and 11 percent of bird species are threatened with extinction. Indigenous peoples are often not recognized as the owners of their land, even if they have lived there for hundreds or thousands of years. 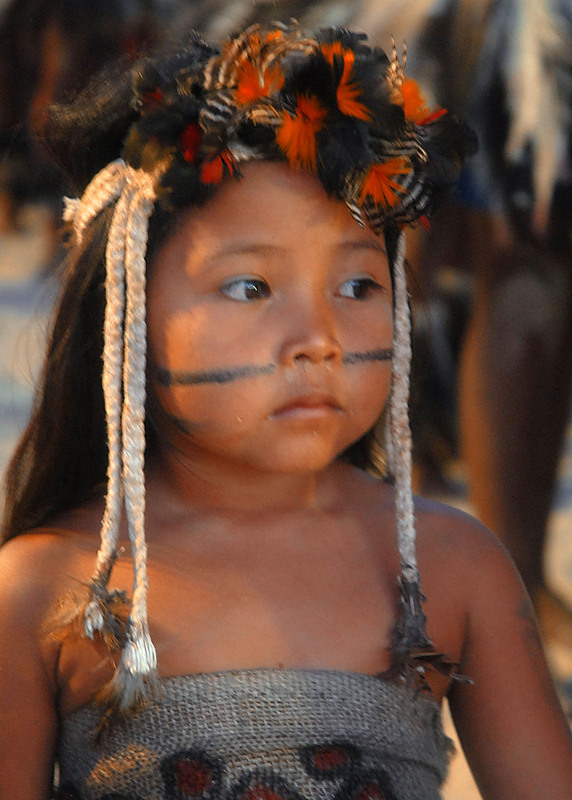 Without official titles, many indigenous communities have had little recourse but to watch as government or corporate interventions have exploited and destroyed huge tracts of their forests without their consent.With secure rights to their lands and natural resources, indigenous peoples can better defend their communities against unwanted development pressures. Indigenous peoples are effective guardians of the forests they live in. Today, most of the world’s large tracts of conserved tropical forests are in the hands of indigenous peoples. 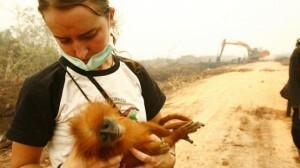 Just say NO to palm oil. 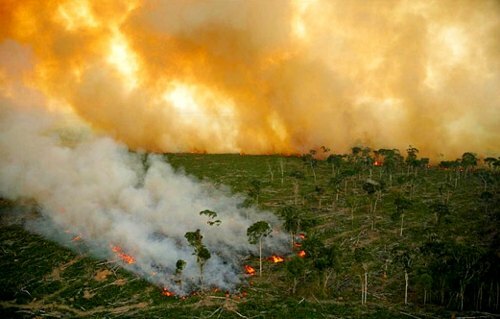 Palm oil, found in half of all processed foods in the US, is a key contributor to rainforest deforestation. Avoid furniture and other products made from threatened rainforest woods like: Mahogany,Rosewood and Ebony. Logging and the new roads it necessitates is a major driver of long term rainforest destruction. 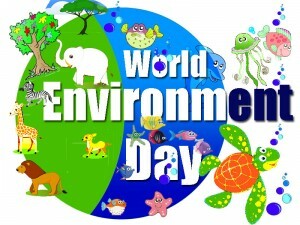 Learn and Teach others about the importance of the environment and how we can help save rainforests. Teach kids about the health of our planet. Empower them to make responsible choices. Help them make the connection between choosing foods without palm oil or conserving fossil fuels and protecting the rainforests. 60-70% of deforestation in the Brazilian Amazon results from cattle ranching. Meat production is non-sustainable. Period. 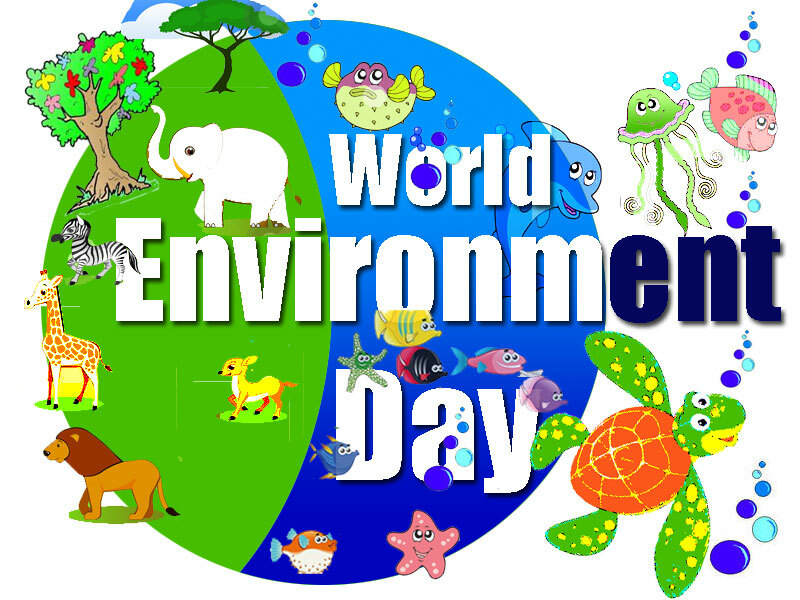 It affects all countries, the waste of water and crop has huge impact on the ecological balance. 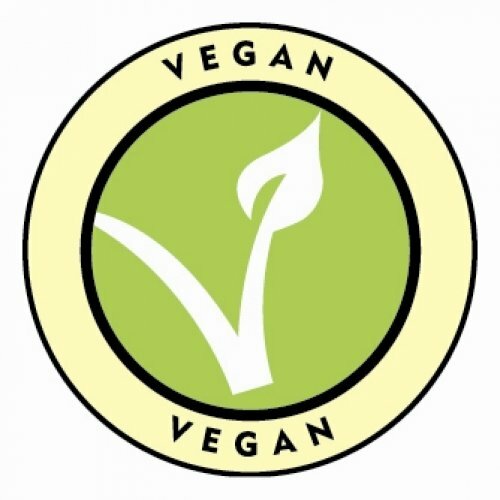 Eat (more) vegan foods. Oil extraction in the Amazon has increased dramatically with sometimes devastating social and environmental consequences. Approximately 70% of the entire Peruvian Amazon in now leased by oil companies. Support: Pick a region or project of particular interest to you and be assured your gift is directly contributing to the Rainforest program(s) of your choice. 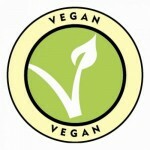 Buy organic, fair-trade, rainforest alliance approved food products. How to store Irish Moss? Dry Moss should always be stored in a dark cool place, it does not need to be sealed in the pouch bag. The salt is a natural preservative and the moss will not get bad. Never store dry Moss in the fridge, it is too moist and the salt crystals will not be able to protect the moss. You may keep your moss for good over a year. Soaked hydrated Moss should be stored in the fridge. Use a clean glass jar or bowl and change the water every day and it will keep fresh up to 2 weeks, but will loose with time a little of its gelling property. 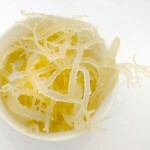 Irish Moss paste will keep fresh in the fridge for up to 3 weeks. 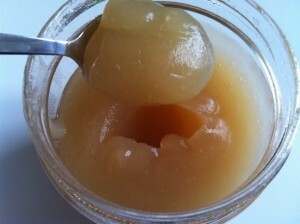 Make sure that you use a clean glass jar with a lid and use always a clean spoon. 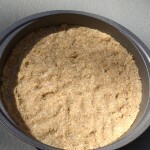 Irish Moss paste can also be frozen. It is convenient to use an ice cube tray and fill it with Irish Moss paste. When it is completely frozen, wrap it in a pouch bag, don’t keep it open. It is very convenient to have the portion size moss ready on hand when needed. 1. Soak 1/2 cup of dry moss in lukewarm water for a few minutes, then rinse to clean from salt and sand. Work with your hands through the moss and clean from dirt, pebbles, blue rope pieces (leftover from harvest) and soak again in fresh water, make sure you have plenty of water to cover and choose a bigger bowl, because the moss will expand. 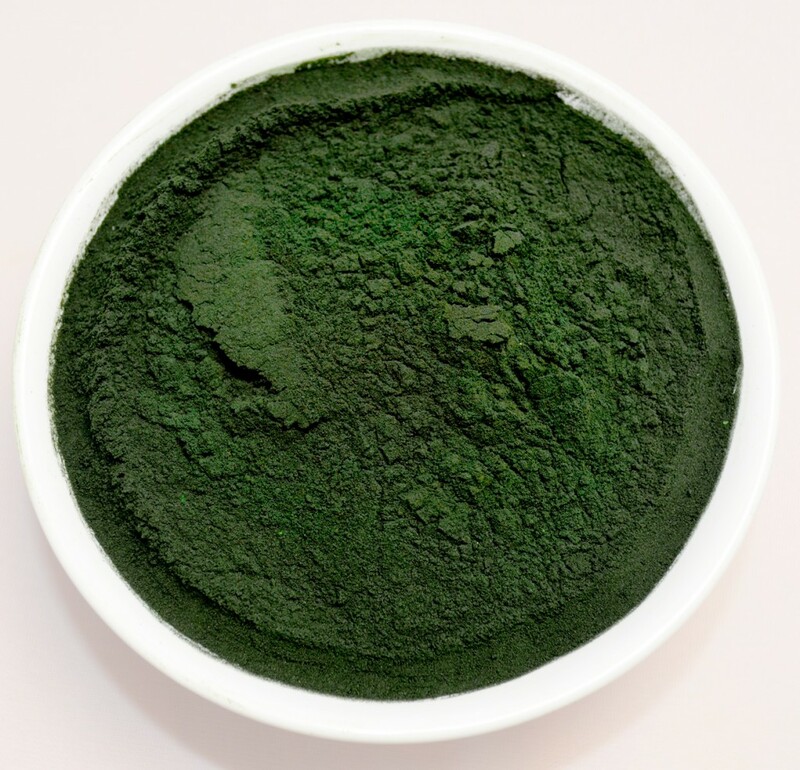 If you are short on time, use warm or lukewarm water to soften the moss faster.If you have time, you can also put it into the refrigerator over night and continue next day. 2. At the next rinse check again on dirt or any brown parts, rinse very well. Soak again. 3. 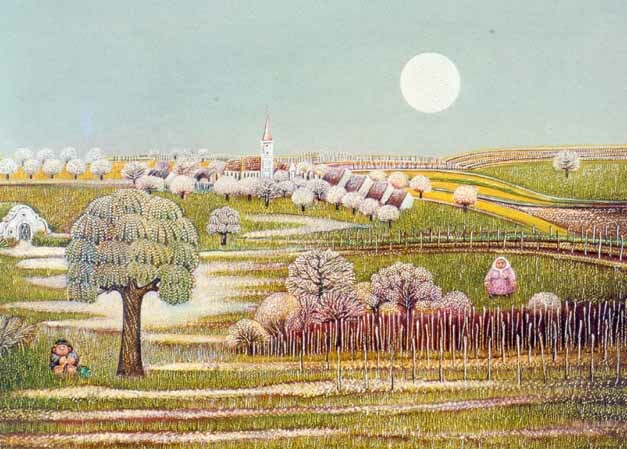 When the moss has become white, soft yellow color, multiplied its volume and got soft, it is ready to process it to paste. 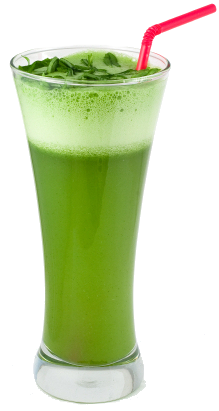 Blend 1 1/2 cups well hydrated (soaked) moss with 3/4 cup water in a high speed blender. 4. 1 cup dry moss will yield 3 cups soaked moss. You might have plenty. 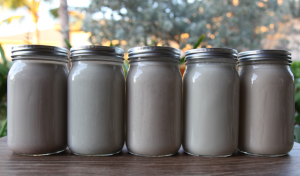 Store the Irish Moss paste in a clean glass container (Mason jar, etc) in the refrigerator. 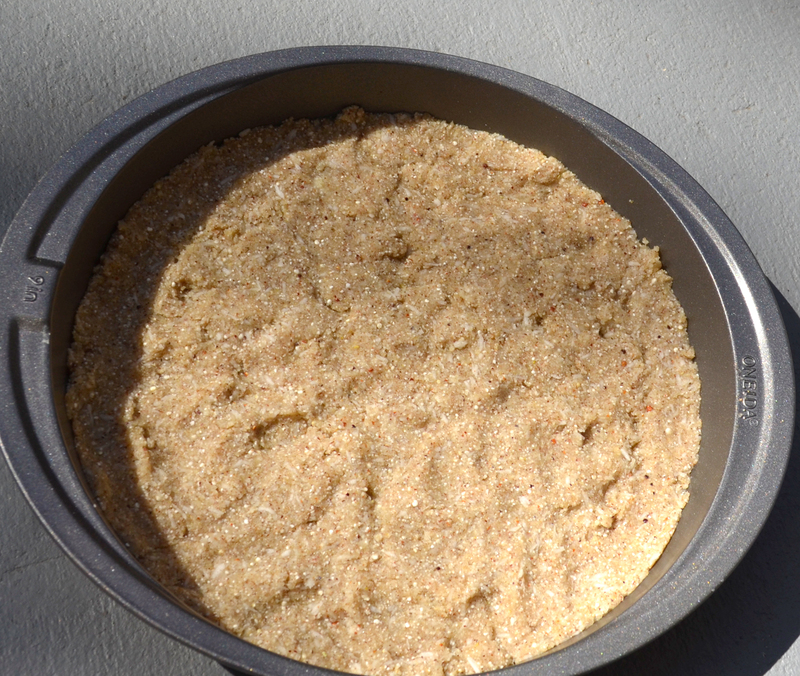 Irish moss paste will last in the refrigerator for a at least 14 days, most of the time 3 weeks. If you have to much moss prepared you may also use the ice cube tray and fill it with Irish Moss Paste and freeze, you have perfect portions you can work with. 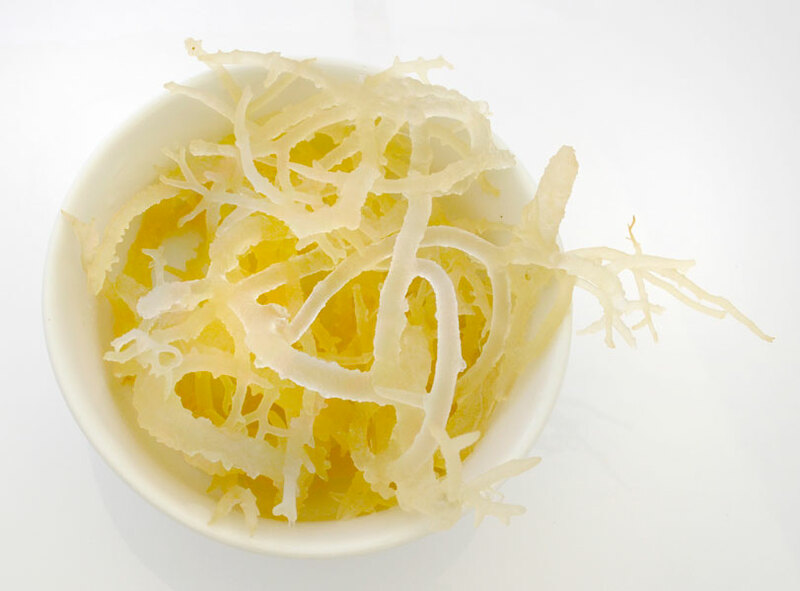 Watch Raw Food Chef Diana Stobo prepare Irish Moss here. 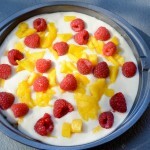 You may imitate fluffy cheese cake fillings or without use of eggs, heavy cream, or yogurt. 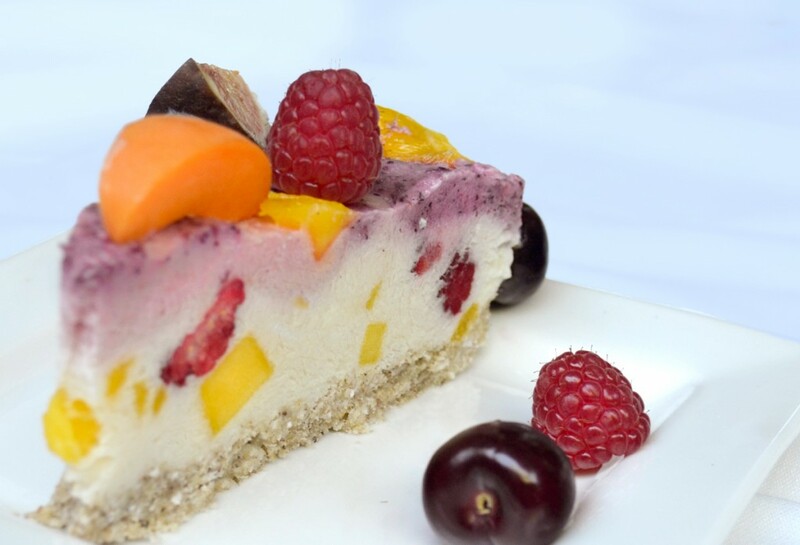 Raw Food cakes lighten up, because you cut back on cashew cream, coconut oil or any other oily rich ingredient. 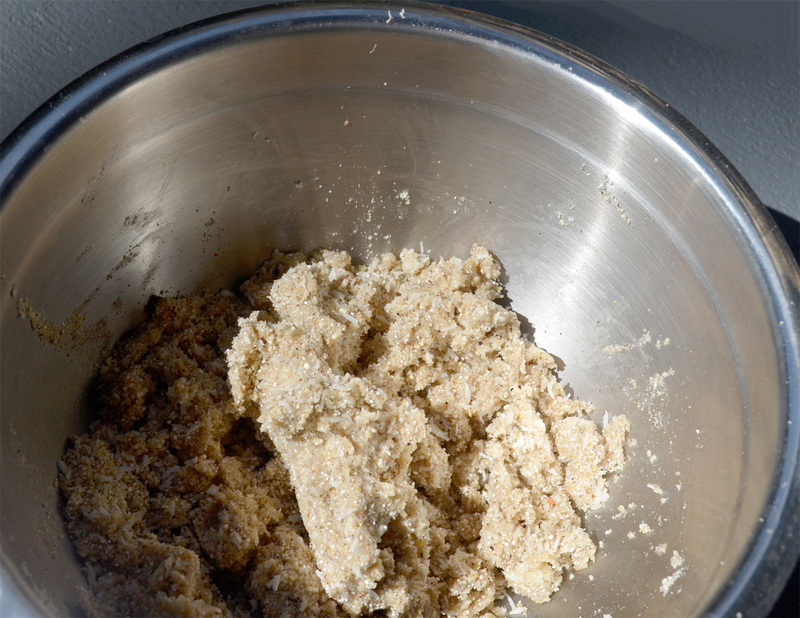 For the recipe: In your high speed blender add all ingredients and add the Irish Moss Paste at the very end. 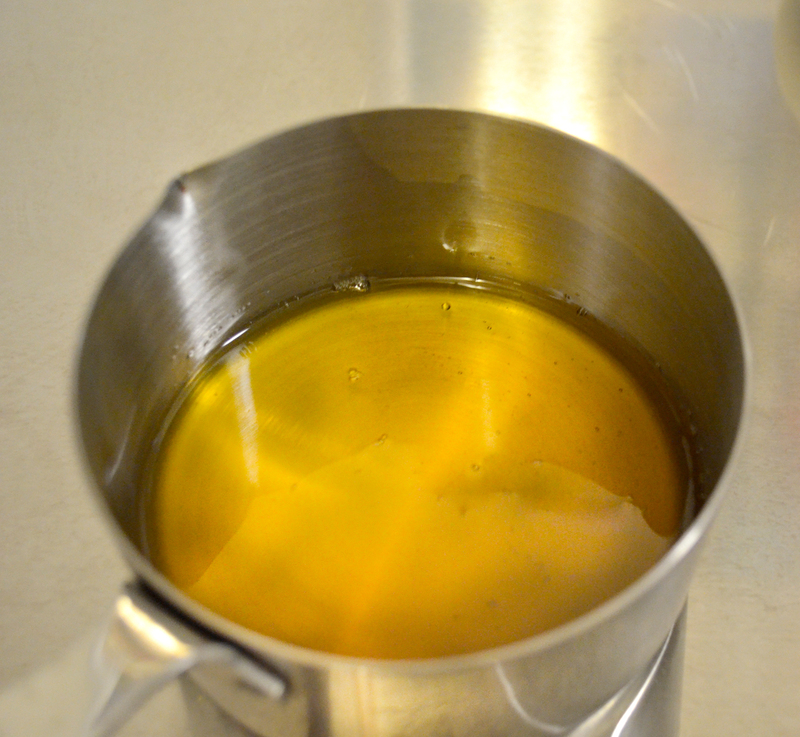 If your dish calls for cacao butter, which has to be warmed up, add the Irish Moss before the Cacao Butter. Firming up a raw dessert can be achieved by adding coconut oil, cacao butter or nut-cream and stored in the refrigerator or freezer; however, if you want to stay on the calorie-low side, add Irish Moss Paste. 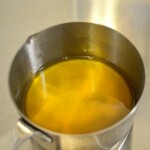 The gelatin property in the Moss firms up faster and keeps the cream in shape, even when you remove it from the fridge. Irish Moss Paste’s emollient qualities keep the salad dressings light and creamy, cream cheese clean and light, Ice cream, and the paste can also be added to veggienaise, mayonnaise, salsas, and even hummus. 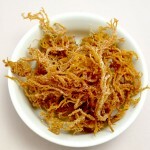 Therefore Irish Moss is a wonderful low calorie weight maintenance tool. 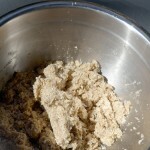 For the recipe: replace the equal amount of oil, coconut butter, or dairy with Irish Moss Paste. Who does not like a yummy creamy smoothie or nut milk? For the recipe: Add 1/2 to 1 TBSP of Irish Moss Paste per 1 cup of liquid to your nut milk or smoothie. 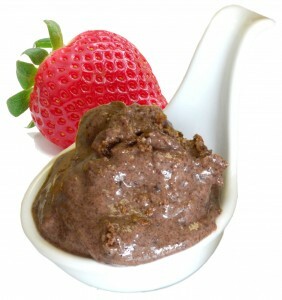 If you prepare a chocolate based smoothie you might need to adjust the sweetener. Facial Mask: relax with a layer of 2-3 TBSP of pure Irish Moss Paste on the cleaned face, the minerals and moisture will rejuvenate the skin and give it the healthy glow. 20 minutes is good time to find peace. 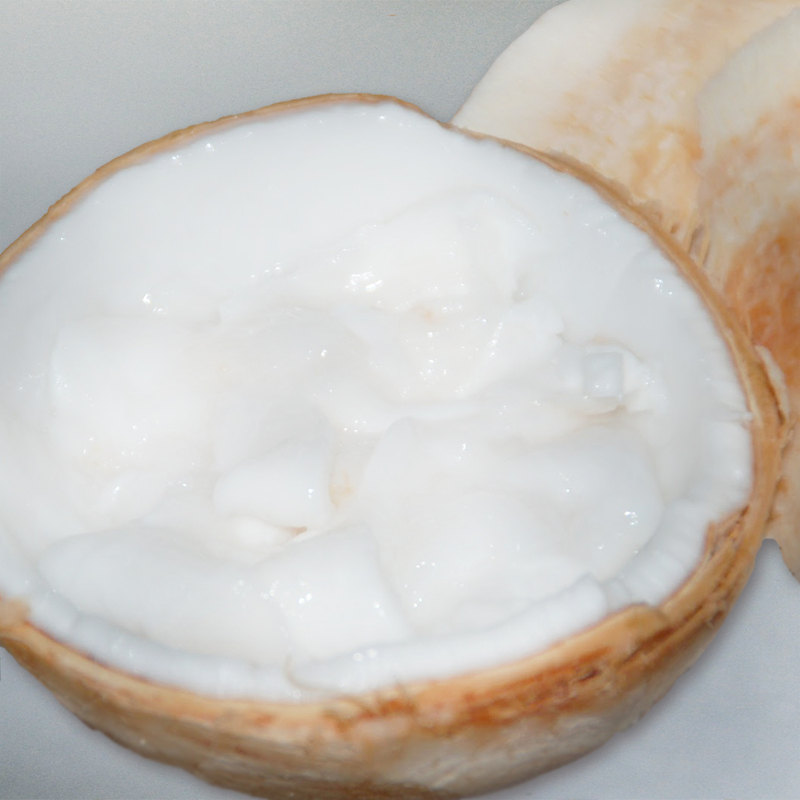 Hair replenish: into the damp hair massage 3-4 TBSP of pure Irish Moss Paste and wrap with a towel. 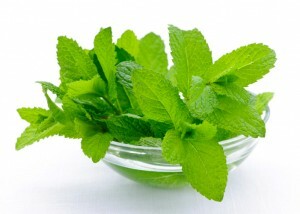 Rinse after 10 min or keep longer, the hair will re-mineralize and the moss helps to detoxify the scalp. Apply on skin rash, dry or damaged skin, aching feet, dry skin: always apply on clean skin if possible and rinse with cool or lukewarm water. You can make a change, have fun, enjoy with your family, actively love nature and have a great veggie meal, it is up to you. 2.) Close your laptop, shut down your phone and go outside, at least 20 minutes. This is the time the mind normally needs to slow down and unwind. Look around, breath in and listen to nature, come to peace — alone or with friends. 3.) Find community activities for Earth Day — join or create. 4.) Celebrate life: smile at people and have uplifting thoughts. 5.) Write into your journal. 6.) Hug a tree :) yes, this is still an old great idea. 7.) Practice yoga with Earth Day in mind, be a blessing for the planet. 9.) Call a family member you have not talked for a while and listen. 10.) Buy flowers and arrange them beautifully. 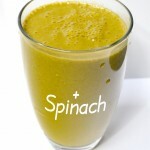 All ingredients go into your Power Juicer, serves 1-2, serve immediately! All ingredients go into your Vitamix, add more water if required. 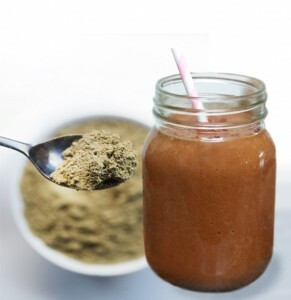 This is a creamy and luxurious raw cacao smoothie enriched with the power of hemp. 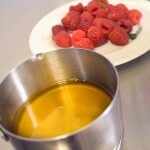 Add all ingredients into a high-speed blender and blend until super smooth. Adjust liquid to get optimal creaminess. Enjoy as an energizing breakfast smoothie, meal replacement, refuel for athletes. 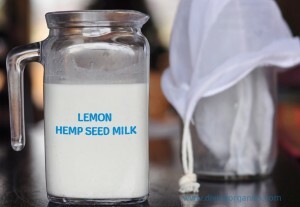 Soak the hemp seeds overnight with the peeled lemon zest. Pour the content through a nut milk bag and the Lemon Hemp Seed-Milk is ready to serve. Warm weather can help us create new nutritional habits. 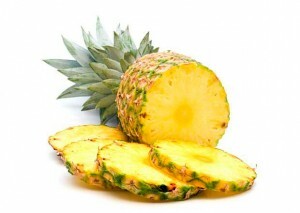 Everything is delivered by mother nature fresh: all the wonderful fruits, greens and veggies. 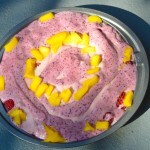 It is a great time to go for salads, veggie smoothies, and enhance a boring diet with fruit salads. 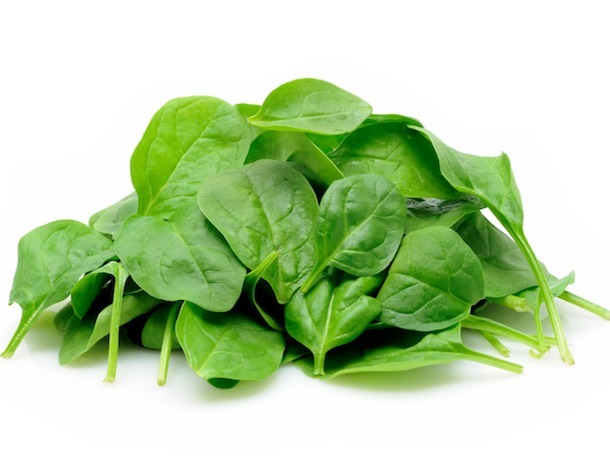 The cooling qualities in leafy greens and fruits refresh the body and mind, it is much easier to flush out toxins and extra pounds than in the cold season. 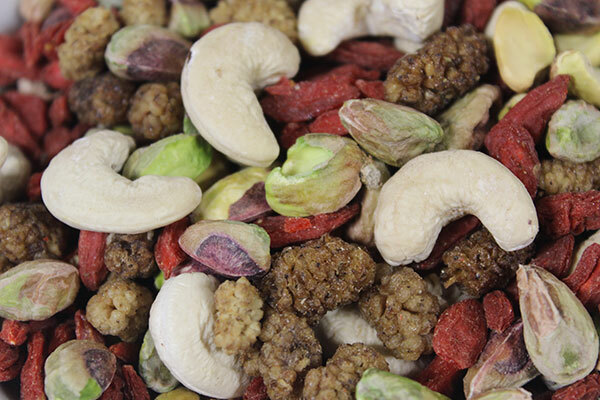 One question often asked: HOW ABOUT NUTS DURING THE HOT SEASON? 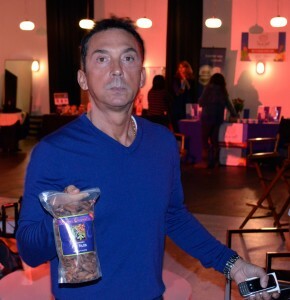 Nuts are valuable source of plant protein, minerals and vitamins. A handful a day would be a great suggestion as daily intake– and this handful of nuts per day can be consumed as hydrating and nourishing nutmilks, in raw cremes, sweet or savory. But over-consumption will do not good: despite to all healthy benefits, Nuts can make us feel heavy and sluggish, and we learn by experience that nuts are much harder to digest compared to proteins from fresh greens. 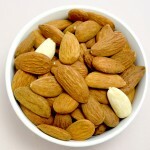 The delicately flavorful and versatile almond is available throughout the year. Almonds make a healthy and tasty snack, a classy nutmilk, yummy nutbutter, an addition to smoothies, ice creams, raw sweet and savory dishes. 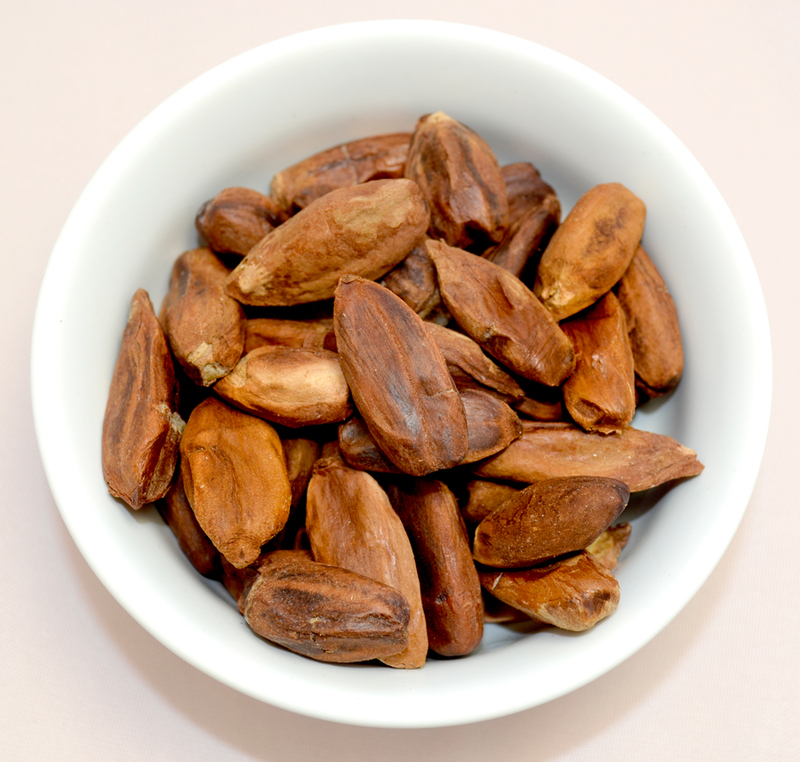 During the hot season make sure you consume raw almonds instead of roasted (and often salted) ones, you may sprout and dehydrate them if you wish; use raw almonds in nutmilk and other preparations — in this way the almonds will keep the body temperature neutral. 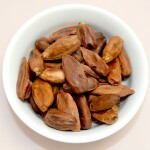 Almonds are rich in Calcium, Iron and Magnesium and our number 1 choice of summer nuts. 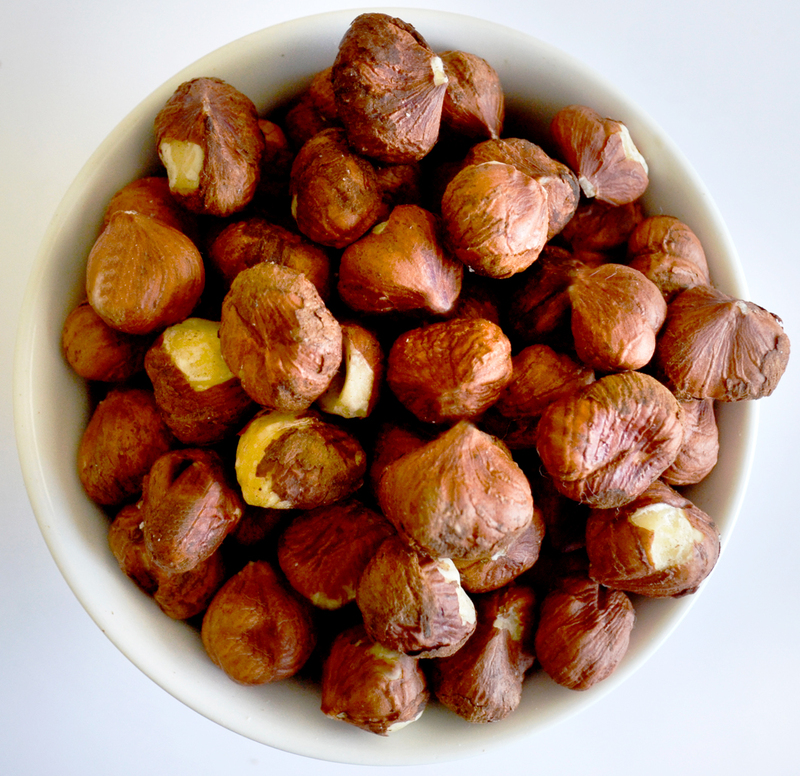 Hazelnuts,also called Filberts, are rich in B vitamins, Vitamin E and Manganese. Consumption of raw Hazelnuts, when snacked straight from the bag or processed to nutmilks, will let us feel light. Hazelnuts keep the body temperature neutral and all extra energy can go into fun outdoor activities and sports without slowing us down anywhere. 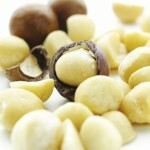 Therefore we choose Hazelnuts as our number 2 summer nut. 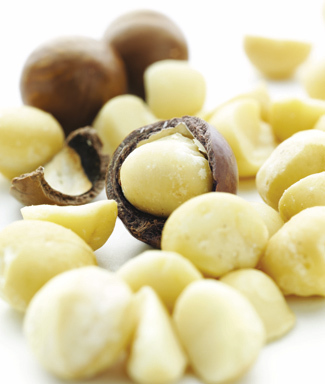 The sweet, refreshing macadamia nuts are brimming with essential minerals, vitamins and heart-friendly mono-unsaturated fatty acids. Additionally they provide selenium. 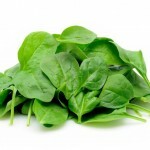 Selenium is a cardio-protective micro-mineral which is not so easy to get in regular diet. Because the Hawaiian Macadamia Nut is the most delicious of its kind and makes us think of flower garlands and white beaches, we decided to make it to summer nut #3. 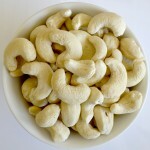 Cashews are thermal cooling. This is one reason that over-consumption of cashew nuts in the cold season can cause diarrhea or digestion problems. 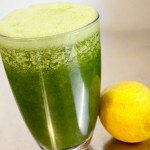 During the summer our body can deal with the cooling quality and their acidity. And because cashew nuts are so versatile in making raw cremes, raw ice creams, raw cheese and pastry, we voted Cashews to our number 3 summer nut. Just make sure you eat them raw and organic. 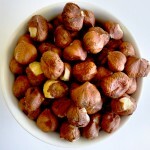 Pili Nuts are still relatively unknown in the States, people are always positively surprised how delicious the soft kernel is when snacked for the first time. 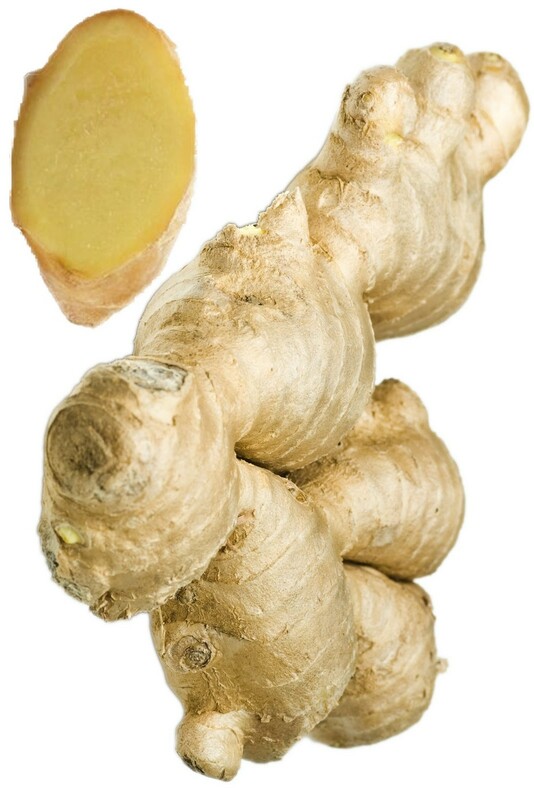 Pilis are a rich source of heart healthy omegas, which play an important role in brain function and may aid in the prevention of cardiovascular disease. They contain all 8 essential amino acids which is vital for healthy muscles, healthy bones and skin, brain balance, liver detoxification, and nerve cell health. 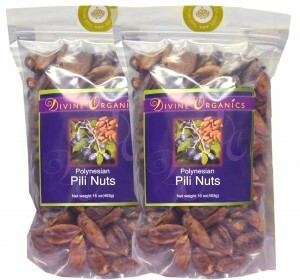 Pili Nuts should be consumed raw and they will add their refreshing quality on hot summer days. 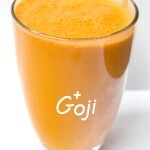 Luscious sweet ripe Apricots and Hazelnut milk are the base of the 3 elixirs. 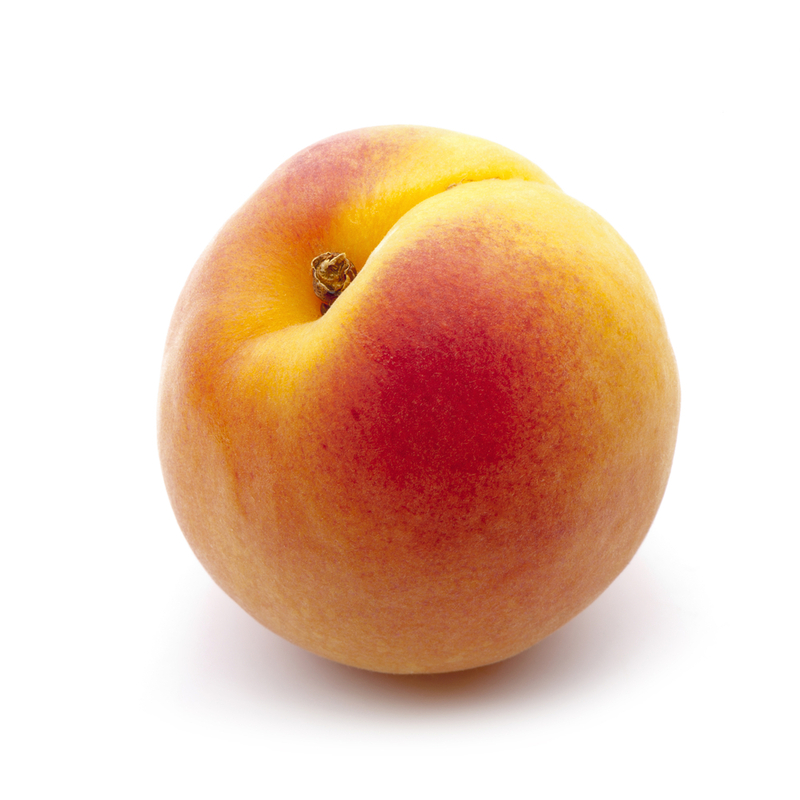 Fresh apricots are true longevity superfoods, loaded with Vitamin A, C, Magnesium, Copper, Iron and antioxidants. Pure sun-energy, highly nutritious and natural sweet – combined with superfoods which work in synergy to enhance their powers and benefits: foods become elixirs. Prepare Hazelnut Milk (soak raw Hazelnuts for 4-6 hours and blend with filtered water, 1 part of nuts to 4 parts of water). 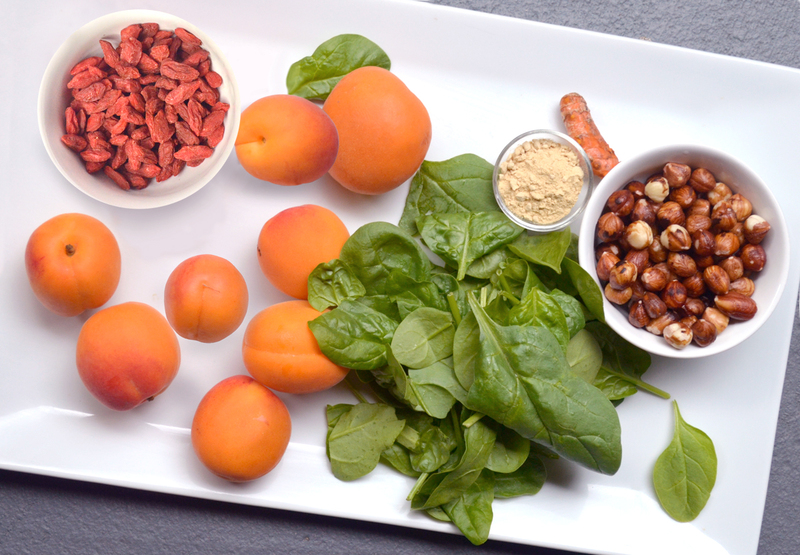 Add all ingredients in a Vitamix and blend creamy. 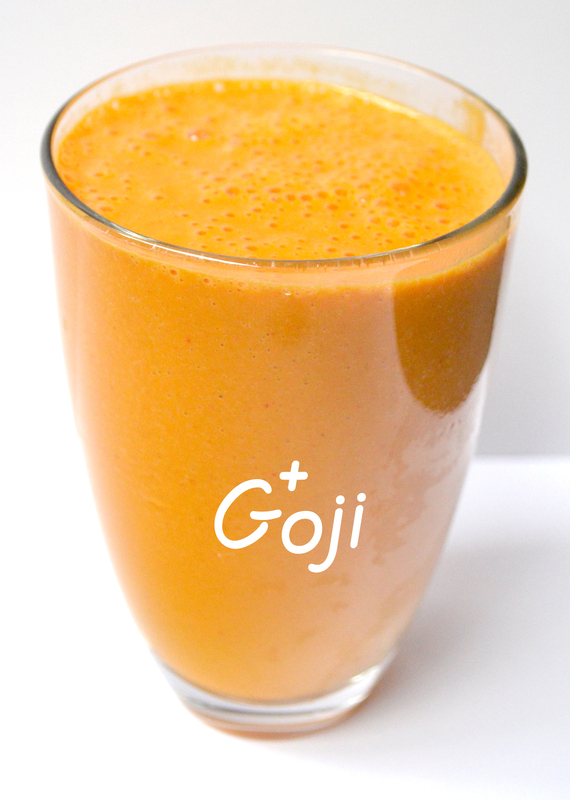 (if you don’t have time for soaking, it is better you grind first the dry Gojiberries in your Vitamix and add 2 TBSP of the fine sticky Goji-powder to the smoothie). 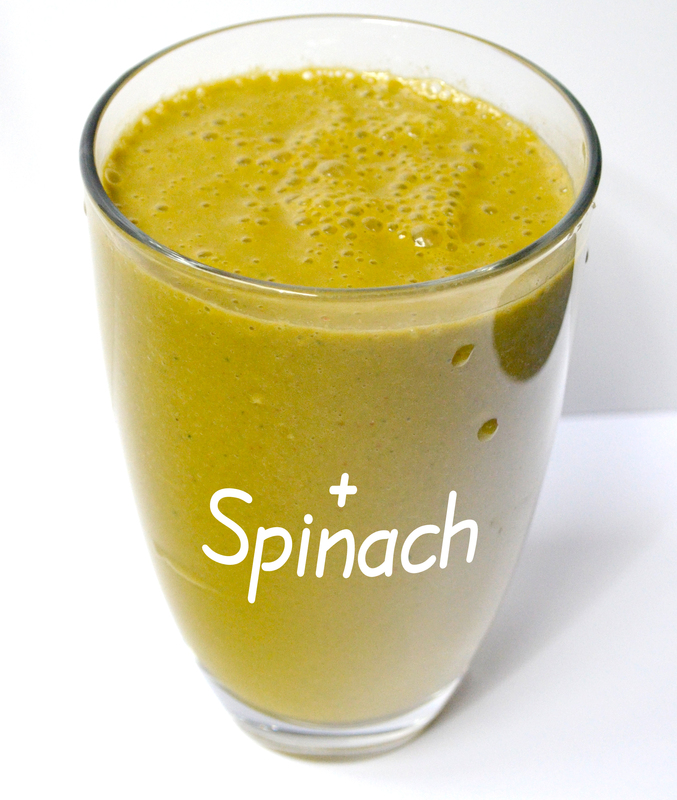 This smoothie is rich, nutritious and very creamy. Delicious when served on ice. 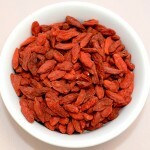 prepare the recipe as above, add Gojiberries, blend creamy and add 1 handful of organic fresh spinach leaves, blend. 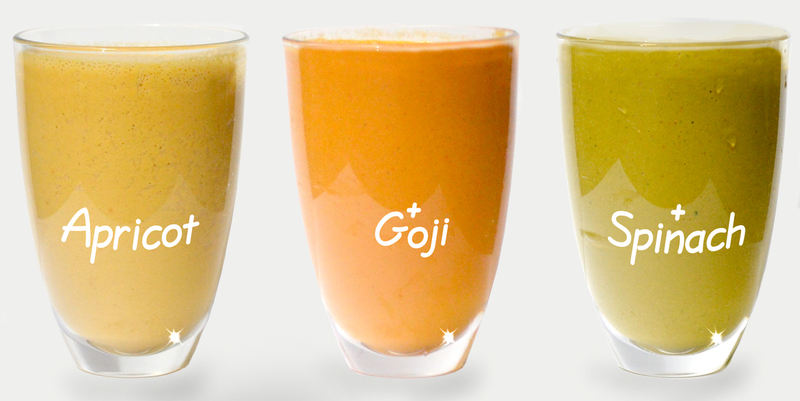 Hazelnuts, Maca, Goji, Tumeric and Spinach are highly beneficial and empower each other synergisticly. 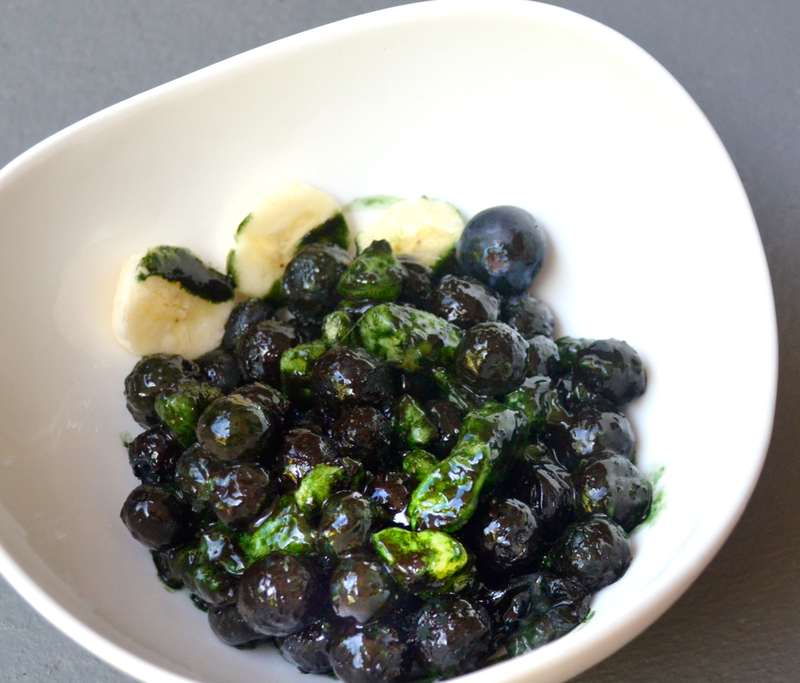 Cut the Banana into small pieces, add water, add the Spirulina Powder and stir well, add the blueberries, stir again, add the Tocos Plus, stir and serve. This bowl is a wonderful breakfast or a full meal and it can be, hands down, described as a natural powerhouse made from real true foods. 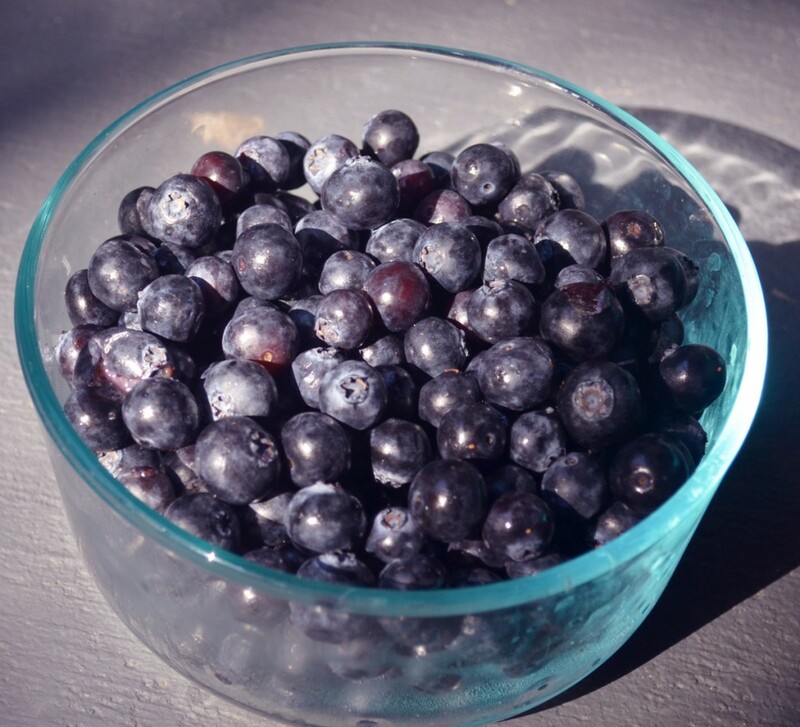 Sweet, juicy blueberries are rich in pro-anthocyanin, which is the antioxidant of the blue pigment in the skin. 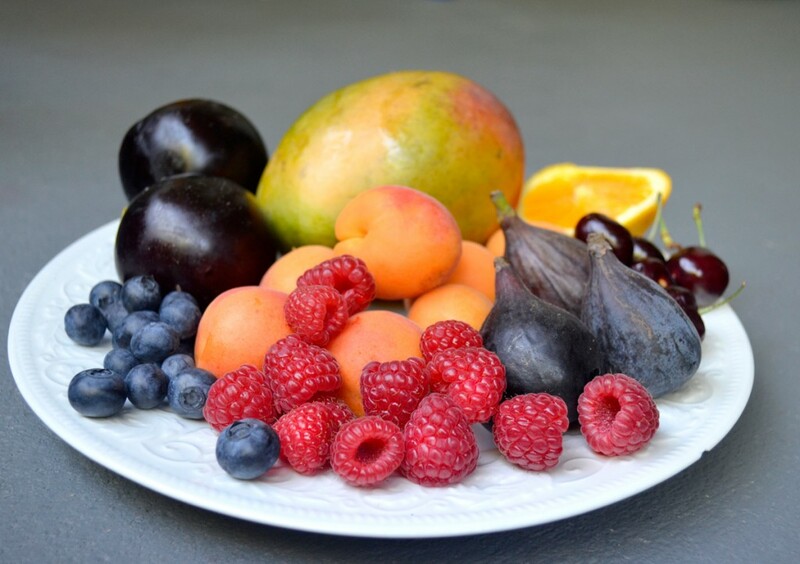 100 g fresh berries provide only 57 calories, however, they are amongst the highest anti-oxidant value fruits. Altogether, the phyto-chemical compounds in the blueberry help rid off harmful oxygen-derived free radicals from the body. ORAC of 100 g fresh blueberry is 5562 TE. 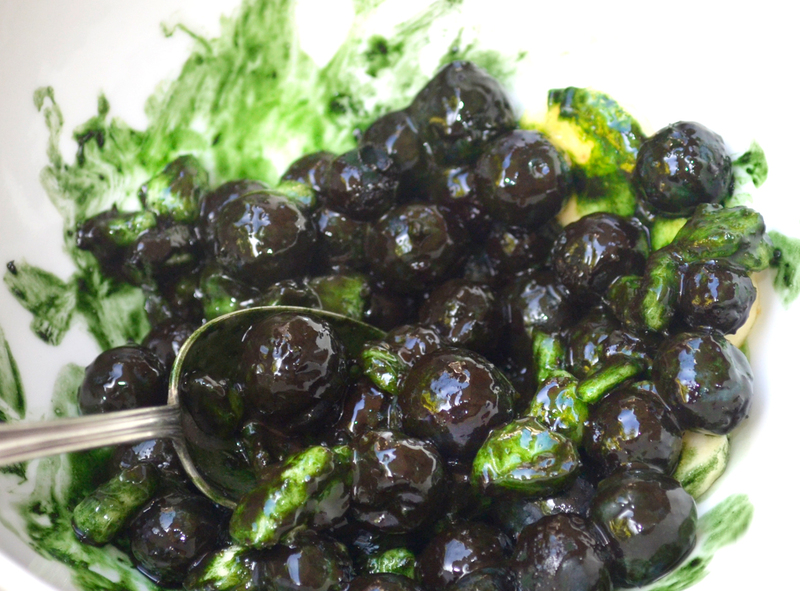 Further, research studies suggest that chlorogenic acid in blueberries may help lower blood sugar levels and may control blood-glucose levels in type-II diabetes mellitus condition. High in Manganese, Copper and Iron which is necessary in the process of formation and production for red blood cells. 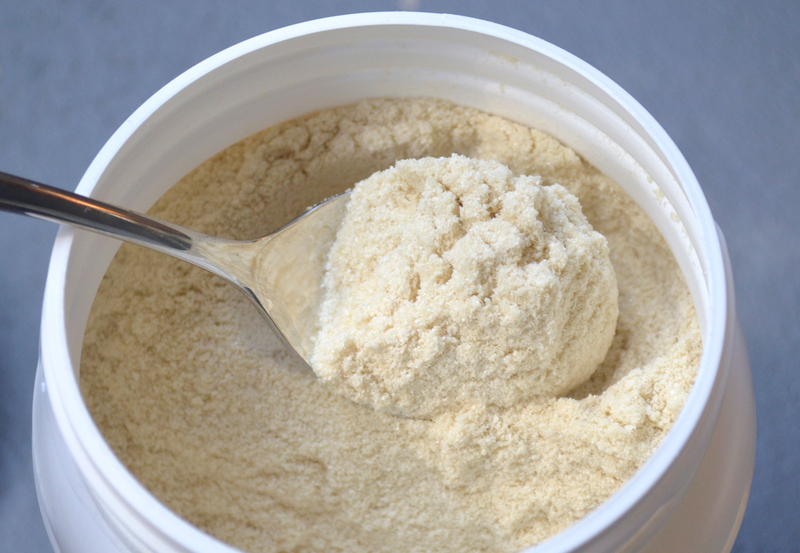 The delicious and natural sweet powder contains a full-spectrum of E vitamins. 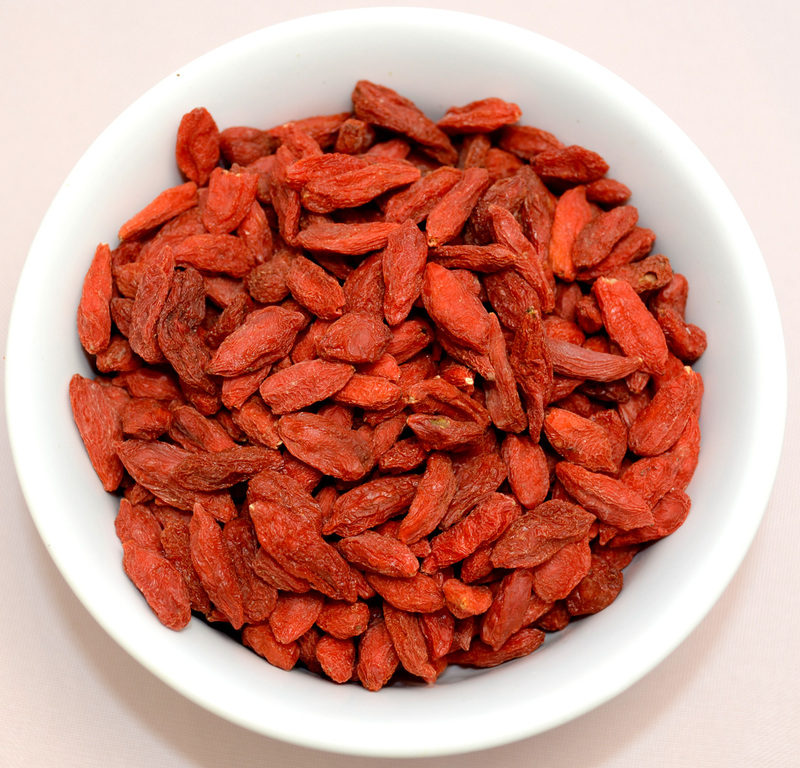 Over 100 additional antioxidants create a powerhouse of fully bioavailable nutrients. 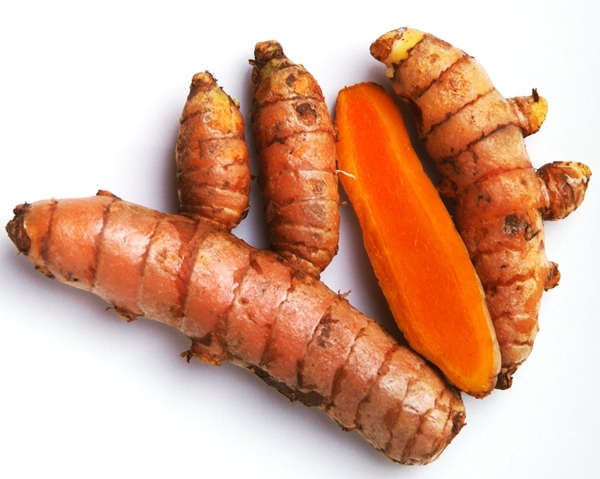 Tocos Plus are one of the top named nutrient dense superfoods which also contain naturally occurring Vitamin A (Beta Carotene), Vitamin B1 (Thiamin), Vitamin B2 (Riboflavin), Vitamin B3 (Niacin), Vitamin B5 (Pantothenic Acid), Vitamin B6 (Pyridoxine), Vitamin C (Ascorbic Acid), Vitamin D, Vitamin E, Folic Acid, Biotin, Choline, and Inositol, Calcium, Potassium, Magnesium, Phosphorus, Iron, Zinc, Manganese, Copper, Iodine and other trace minerals. 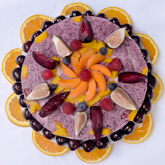 It is the longest day of the year.The equilibrium of light and darkness, day and night, longs for a special live celebration: for our raw food cake we choose berries and fruits with the most juicy bright colors and exotic energy; and bedded them into three different layers of light fluffy young coconut cream. 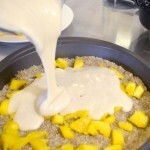 Combine all ingredients in a bowl (I like to do it by hand) and layer the bottom of a 9 inch pie mold. In a Vitamix combine add all ingredients except Cacao Butter and blend creamy, taste if the sweetness is right for you, adjust if necessary. Add little by little the melted Cacao Butter while the Vitamix is running. Blend. 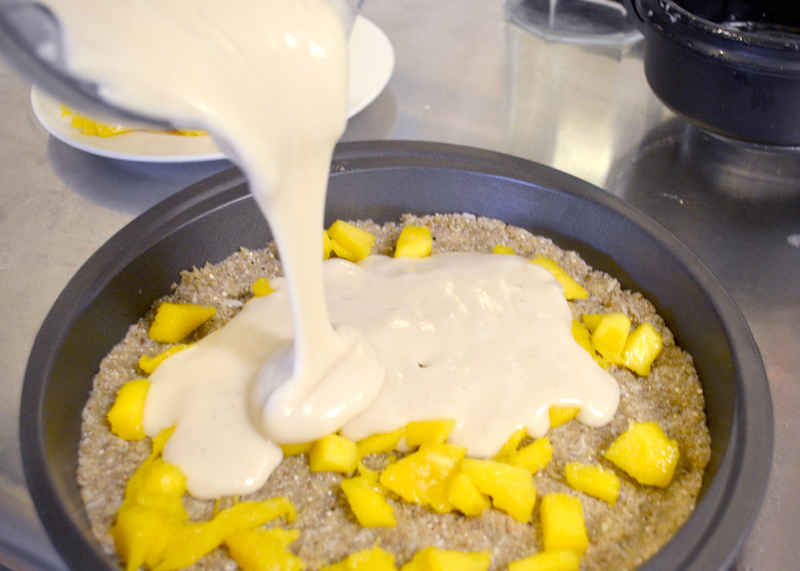 Sprinkle half of the Mango cubes on the crust, then pour 1/2 of the coconut cream over the crust. 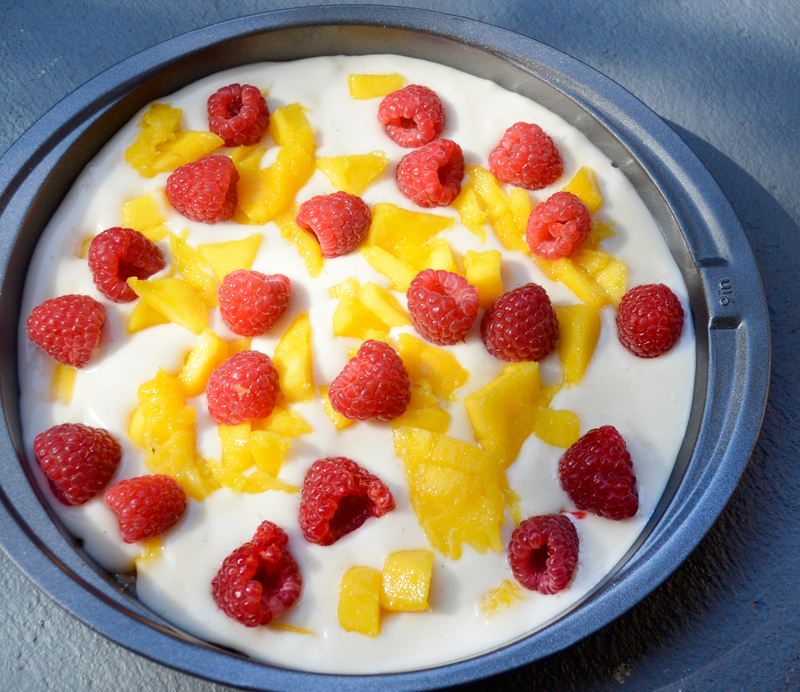 Sprinkle with more Mango and 1/2 of the Raspberries. 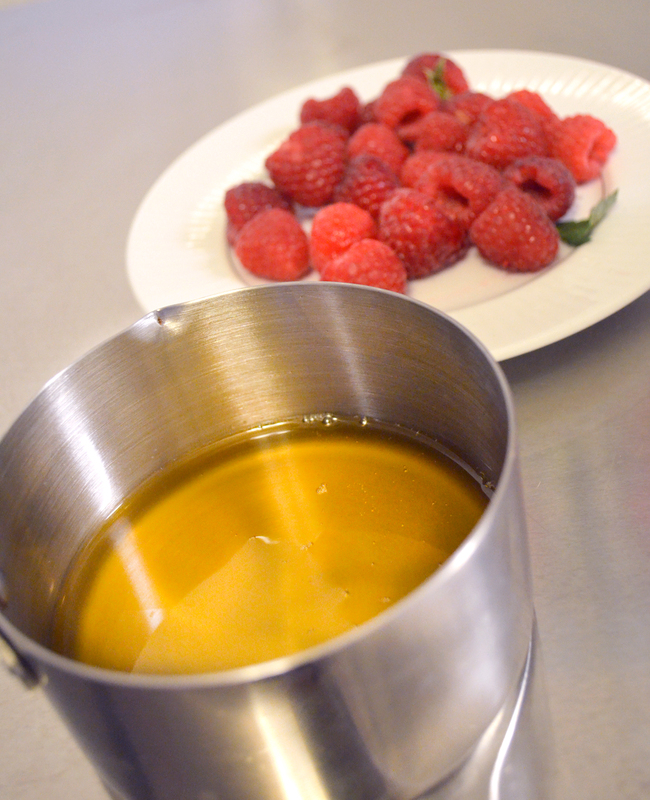 Add the other 1/2 of the Raspberries to the coconut cream which is still in the Vitamix and blend it creamy. 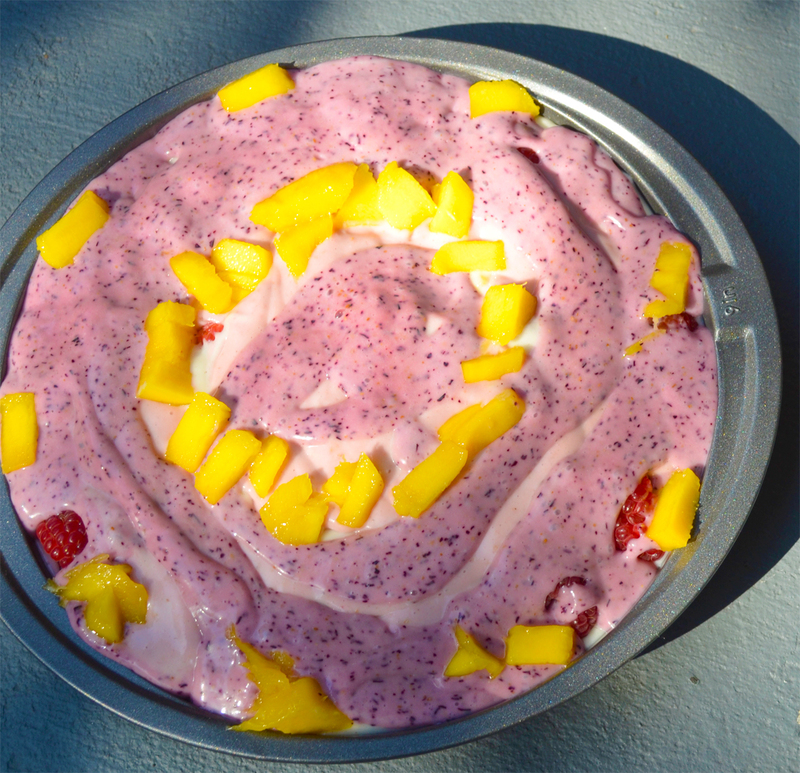 Pour 1/2 of the beautiful pink Raspberry cream over the cake ( i made a spiral). Then add the blueberries to the remaining cream in the Vitamix and blend thoroughly. 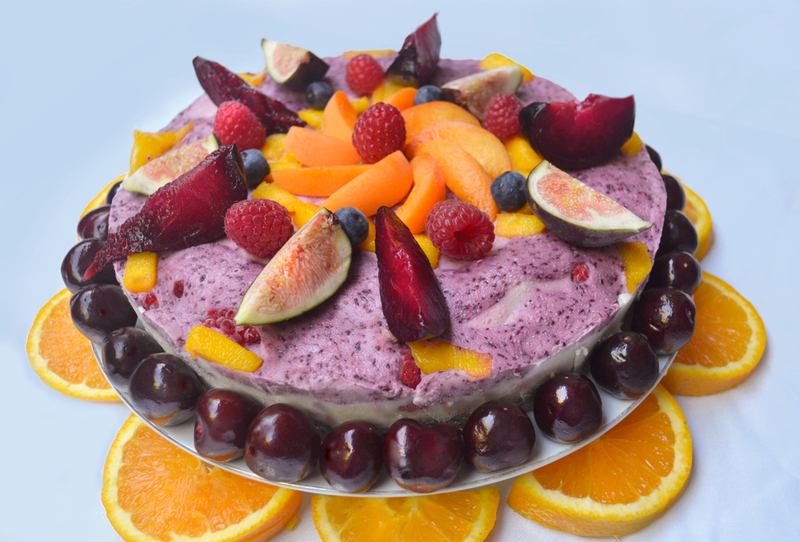 The result is a delicious Blueberry Cream which bursts of live energy of antioxidants. 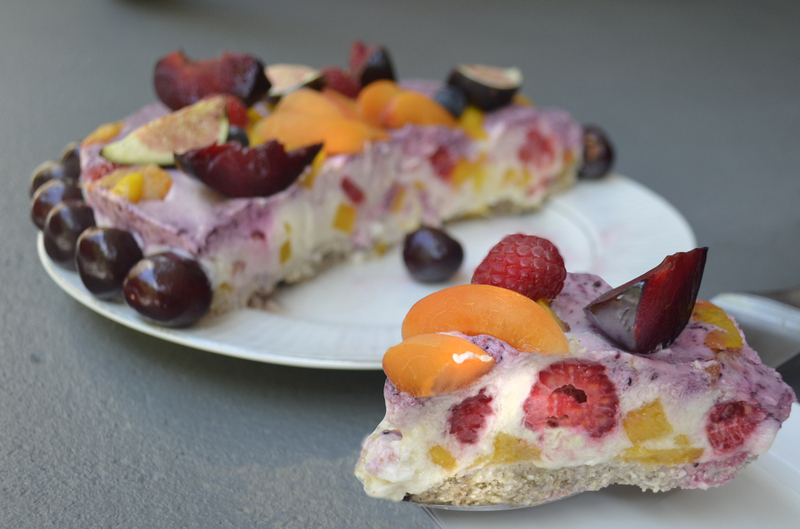 If you have any remaining fruits, arrange them on top nicely. What action can I take to become agent of change? 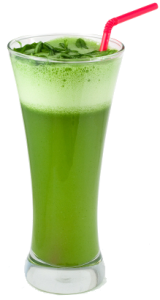 Moringa Cellfood Powder is very mild tasting, but supercharges your favorite smoothies with nutrients and vitality. 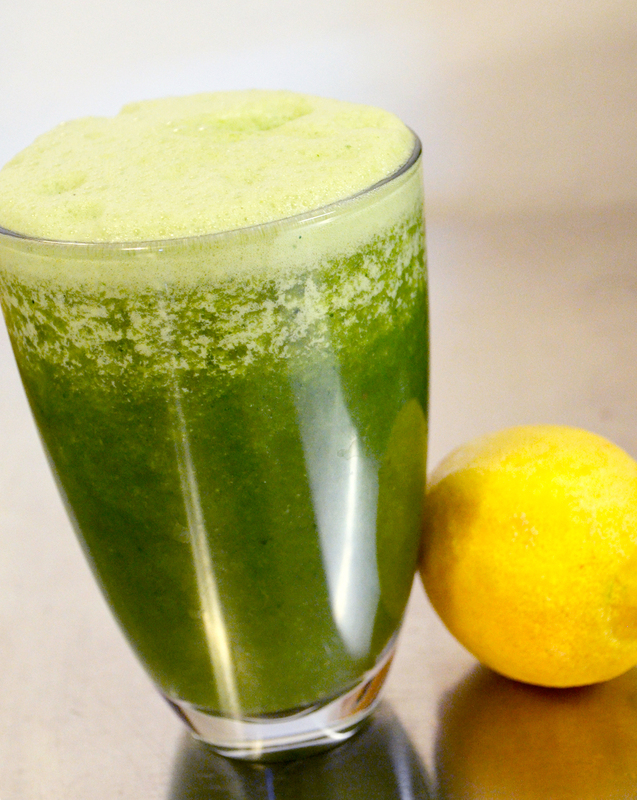 Combine all ingredients with 1 cup of water in a Vitamix and blend creamy. Add the remaining water and/or add ice cubes. Enjoy. 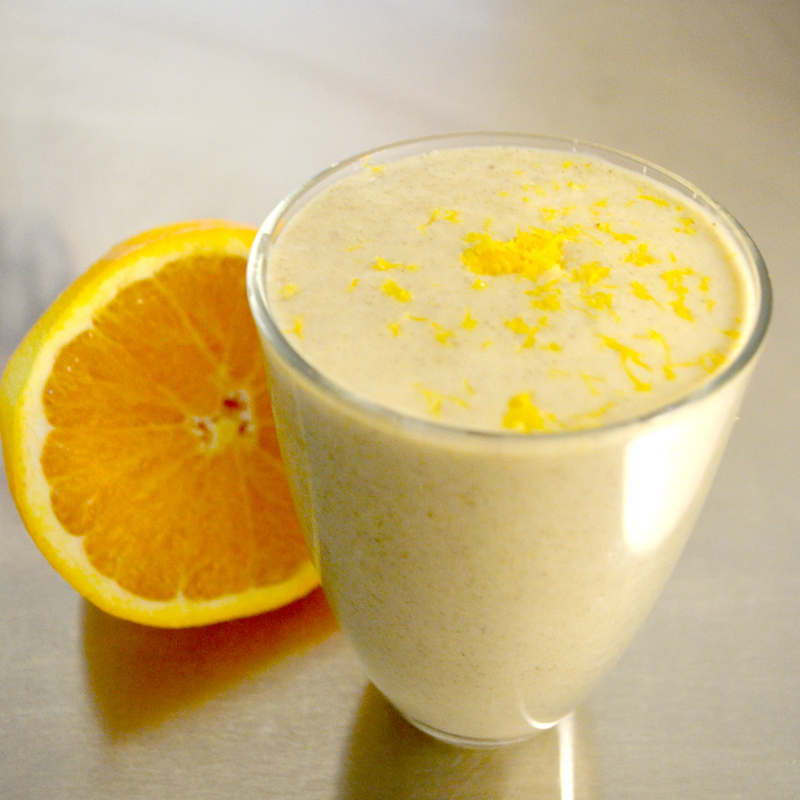 Combine all ingredients in a high speed blender and enjoy the creamy smoothie! 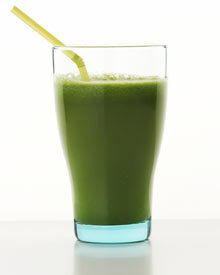 This smoothie supports balanced hormones which involve adrenal health, reproduction health, stress and brain function. All ingredients are working together in a tested ratio. 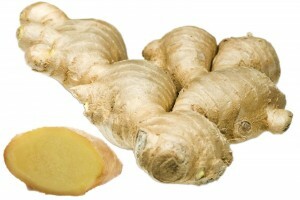 It is very nourishing and satisfying, yet supports also weight loss. Great as a food replacement on the go to maintain happy nurtured energy levels and good mood during a working day, yoga and exercise, when you seek athletic strength, need balance during PMS, Menopause, or when you crave for stimulants. * The statements have not been evaluated by the FDA. 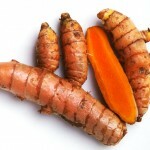 The foods are not intended to treat, cure or heal any disease. Always check with your health practitioner when you need medical advise. Copyright 2014 by Divine Organics.